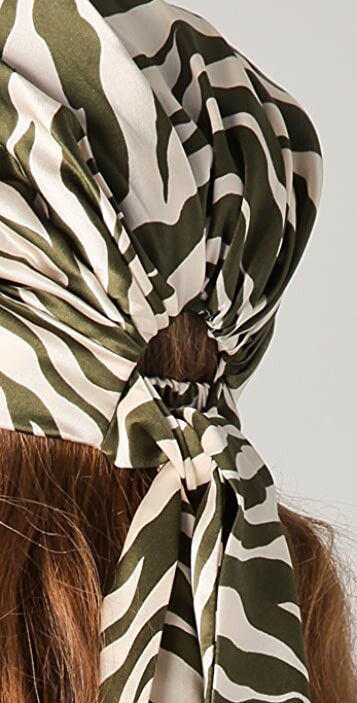 This zebra-print silk headscarf features pleating, gathered elastic banding, and ties at the back. Sits well. 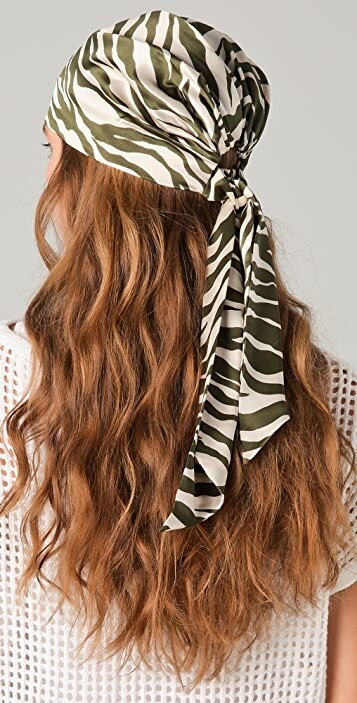 Only nice I imagine if you have long hair.